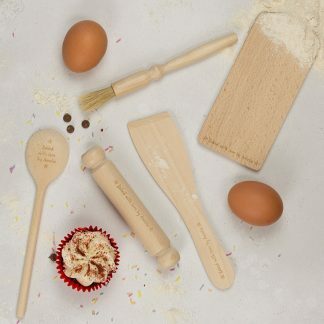 There’s no better way to collect your Easter treasure than with one of our adorable Easter goody bags. 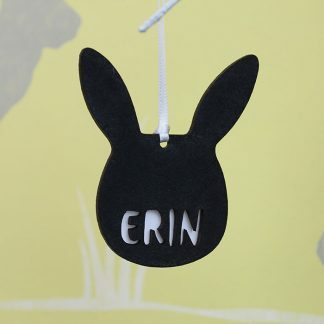 Designed and made with love in our Hampshire workshop each cute bag will feature your chosen name alongside our drawn bunny and wreath design. 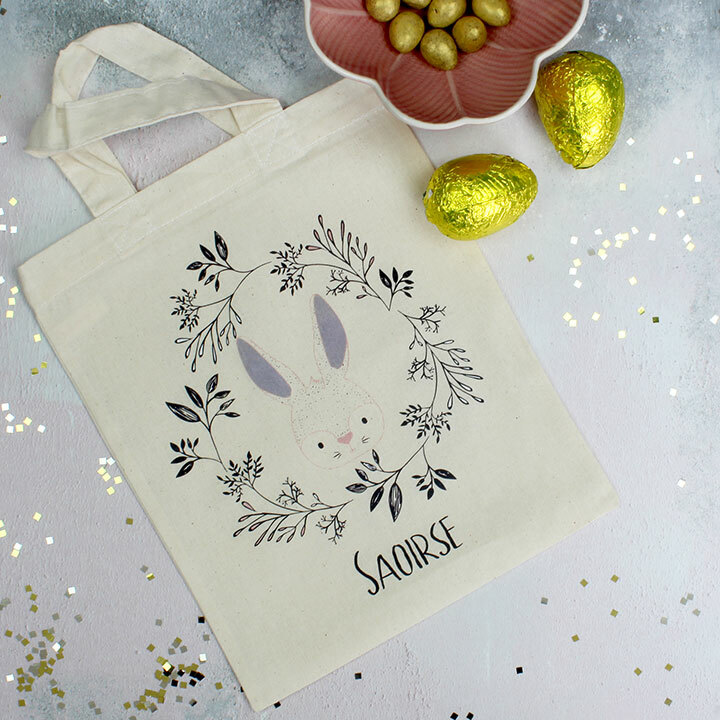 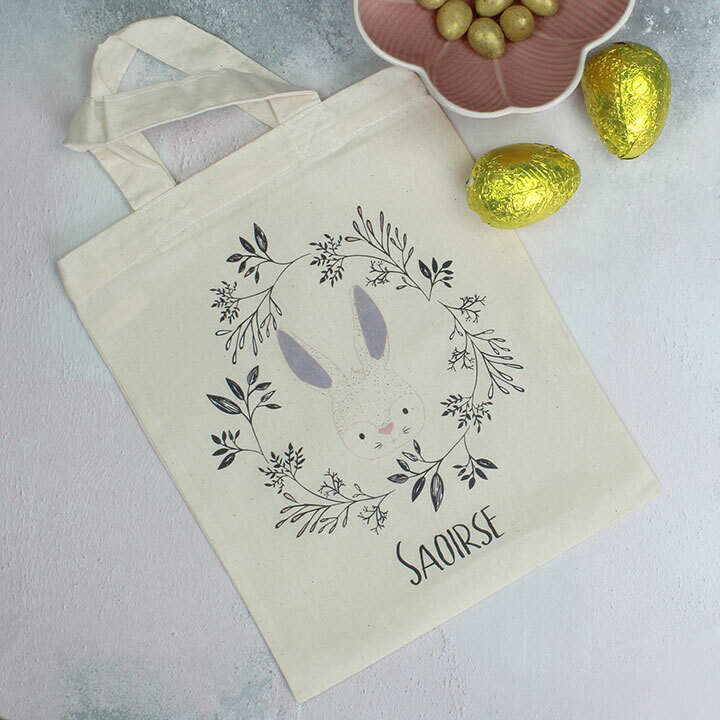 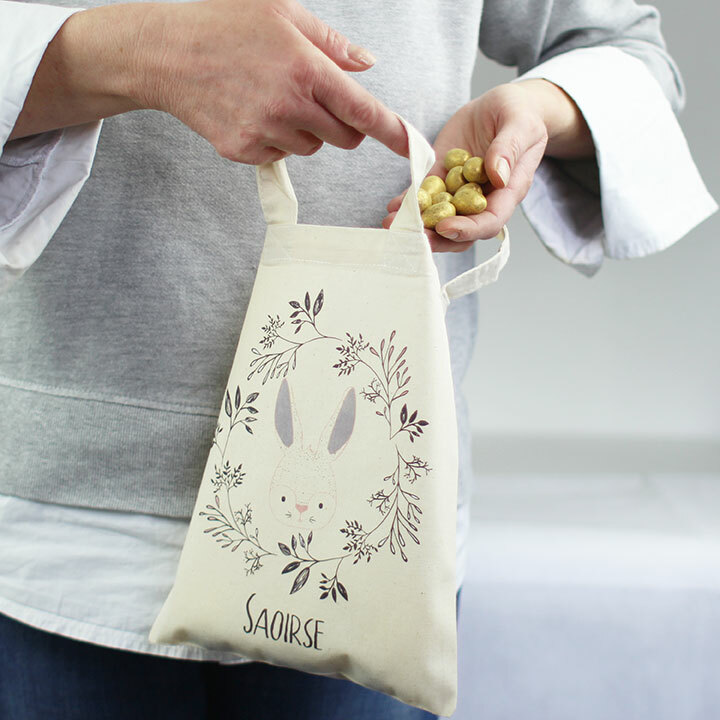 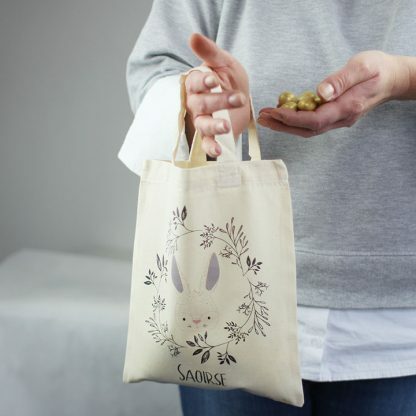 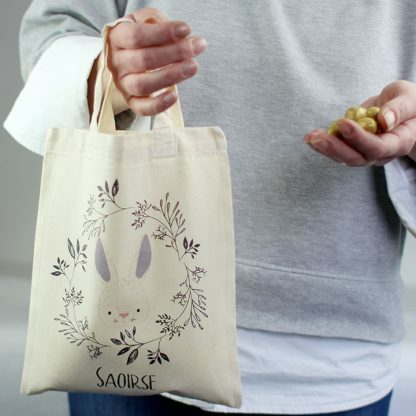 Great for collecting eggs during an egg hunt or for filling with treats and goodies to take home, this adorable bag will be sure to put a smile on a child’s face!